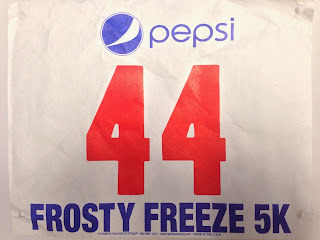 While I'm not quite ready to do any sprints or all out race in any official event, I do enjoy participating in our local 5k races regardless of my abilities or pace, so I signed up my whole family to run the Frosty Freeze again. My son is now part of his high school XC team, so I figured he'd enjoy the friendly competition or at least an opportunity to get a run in. My wife and I decided to run together and not worry to much about our time, so it was a big surprise when we found out later that she had actually placed second in her age group almost 3 minutes ahead of the lady in third place, but who's keeping track. I'm certainly not;-) It turned out to be a very enjoyable race. 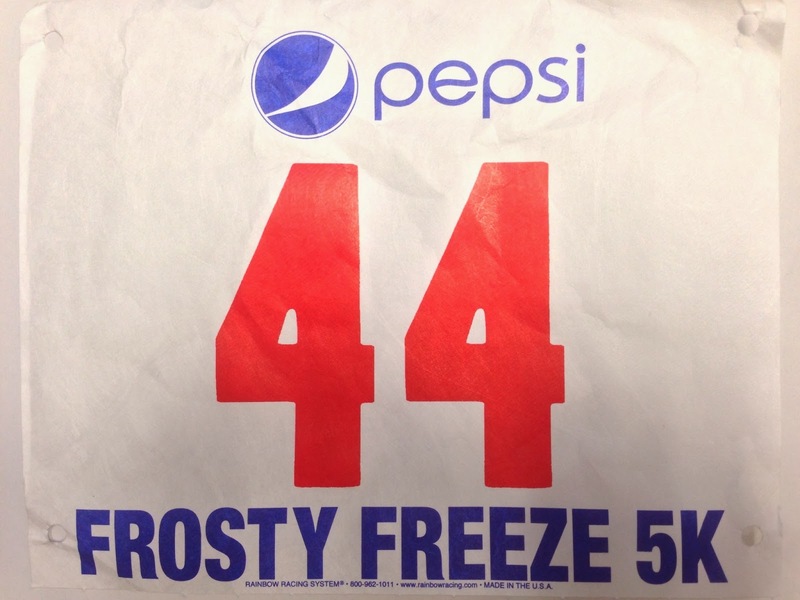 It was pretty cold, as usual for this race. Thanks to Jon and Kelly and their team of volunteers for putting on another great event. It felt great to be back out there, just to run, nothing else.